The Lucky Parrot EA Manual MT5 Expert Advisor for manual trading is based on the Lucky Parrot indicator. The EA uses multiple timeframes (from 1 to 7) simultaneously to make a decision on opening a position. 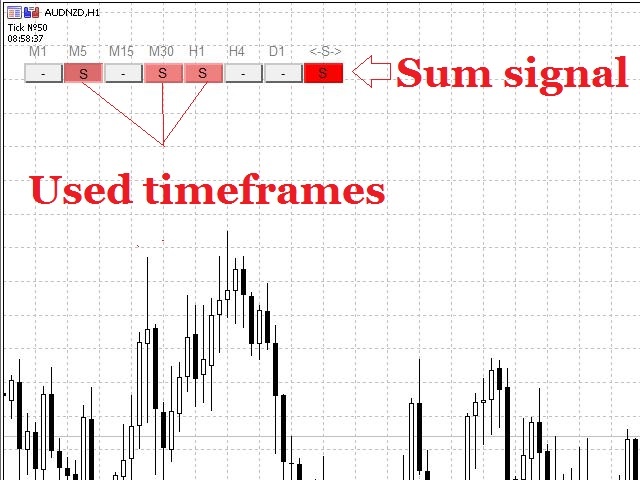 You can manually enable the required number of timeframes, the more of them, the more accurate the signal to enter the position. 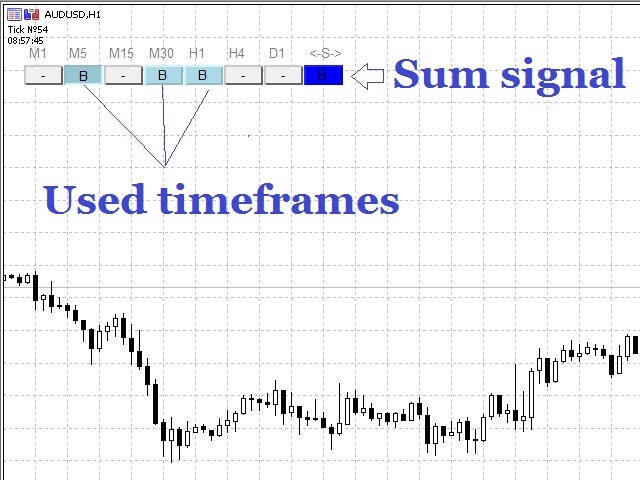 When pressing the timeframe (M1 or M5 or.....D1) on the panel itself, the EA will alert if the signal has changed. You can use this signal for exiting the position. 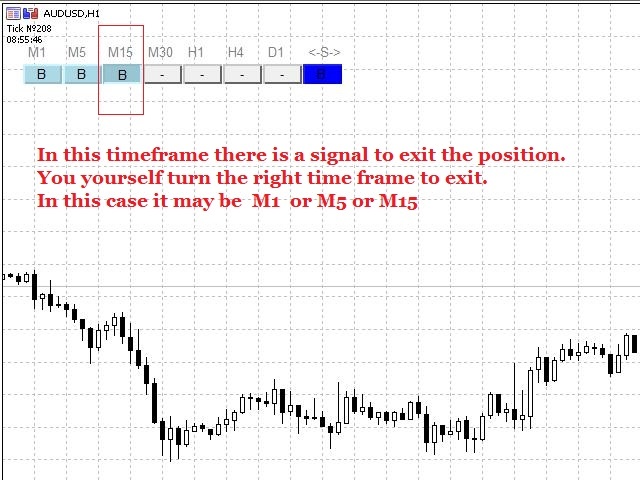 Example: You selected the M15 timeframe for exiting, once the signal changes on this timeframe, the EA will generate an alert and you can exit the position. 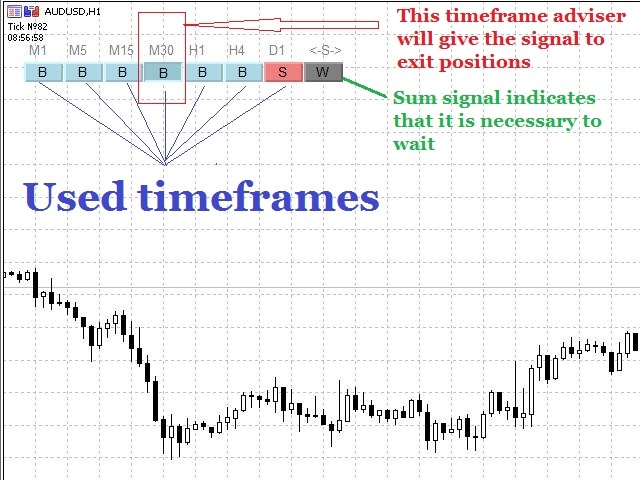 If you selected the М15 position for exiting the position, but it is not involved in making the entry decision (Use M15 Period - false), the EA will alert you that this timeframe cannot be used. Important: The Expert Advisor does not open orders on its own. Orders need to opened manually.